Artisan Stitch provides sewing classes and creative textile art workshops. I have classes for adults across all levels of ability and specialise in helping people lose their fear of sewing machines. My most popular class is the Beginners Sewing Course. I also teach Dressmaking and Pattern cutting so you can learn my tips and tricks to be able to make your own clothes to a professional standard. During school holidays I offer a range of sewing classes for children aged 8 to 12 and also have a term-time after-school course too. However I also want to show that sewing machines are not just for taking up hems and boring stuff like that. So I offer lots of creative workshops such as Free-Motion Embroidery, I have a passion for upcycling fabric so my ‘Rags to Riches’ workshop shows you how to make stunning new fabrics from a pile of scraps. Or why not try making your own fabric and papers for your crafts or quilting in the Monoprinting workshop. I’ve designed these techniques to be easy for anyone to learn so you don’t need to be particularly artistic to be able to create something beautiful. Why not join me on my textile journey…? Artisan Stitch won a Certificate of excellence in January 2019 and is rated best sewing classes in Edinburgh. I’m told that I first picked up a needle about the age of 4, when I made my first dress. OK so it was only a dress for my doll. 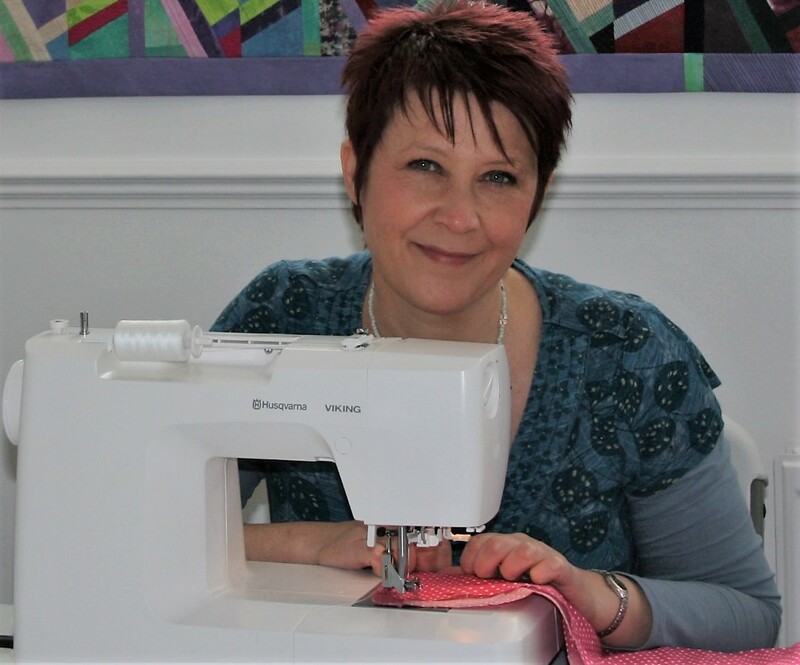 I learned to use a machine when I was 7 years old so I have well over 40 years of sewing experience ranging over dressmaking, tailoring, bridal wear and soft-furnishings. I've also been teaching and training for over 20 years. After graduation, I worked in knitwear manufacturing for a top end cashmere producer in the Scottish Borders. Then I spent some time selling my own range of knitted and felted accessories. These sold direct to the public and to around 44 galleries and boutique shops around the UK. My knitwear designs have been bought by high street chains and the Italian fashion house, Valentino. My embroidery work has been exhibited widely and has sold to private collectors. I am a member of the Embroiderers’ Guild. Whether you have any questions, comments or you would like to keep in touch, just drop us a line using the form below. We'd love to connect with you. Your email address will not be published. Required fields are marked. If you already have a machine and can bring it along, then I recommend it particularly if you're attending any of my Beginners level classes, so you can learn to use it. However, I have machines in the studio if you don't have (or are unable to bring) your own. I'm happy to advise about buying a machine if you're considering it so please don't rush out to buy one to use in class. Take your time to consider if you're even going to enjoy sewing, and what you'll need your machine to do. For most classes, you'll just need your sewing machine (if you have one), a pair of small embroidery scissors, and a notebook. I'll advise you when you've booked if there's anything else you need to bring. If you are bringing your own machine, please ensure it's in working condition, and that you also bring the power cable/foot control, accessories, bobbins and instruction book. If you are not able to attend a booked session, please let me know as soon as possible. I can then arrange a full or partial refund accordingly. You may be able to send someone else in your place. For further details, please read my Booking Terms. I use the STRIPE secure payment system and accept most major debit and credit cards.